The sun shone brightly and the children had a fantastic day celebrating the Queen's Diamond Jubilee. 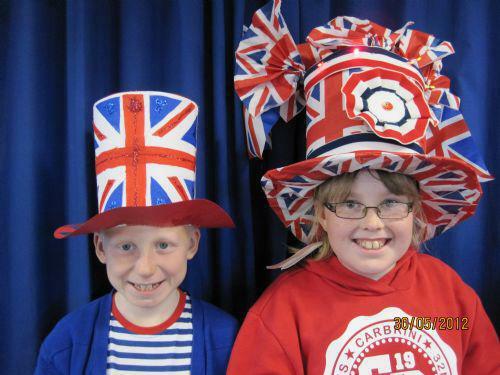 Superb design and making skills were shown off with some very original and striking hat designs. A gentle breeze allowed the children to master their kite flying skills and the Street Party rounded off a lovely day.